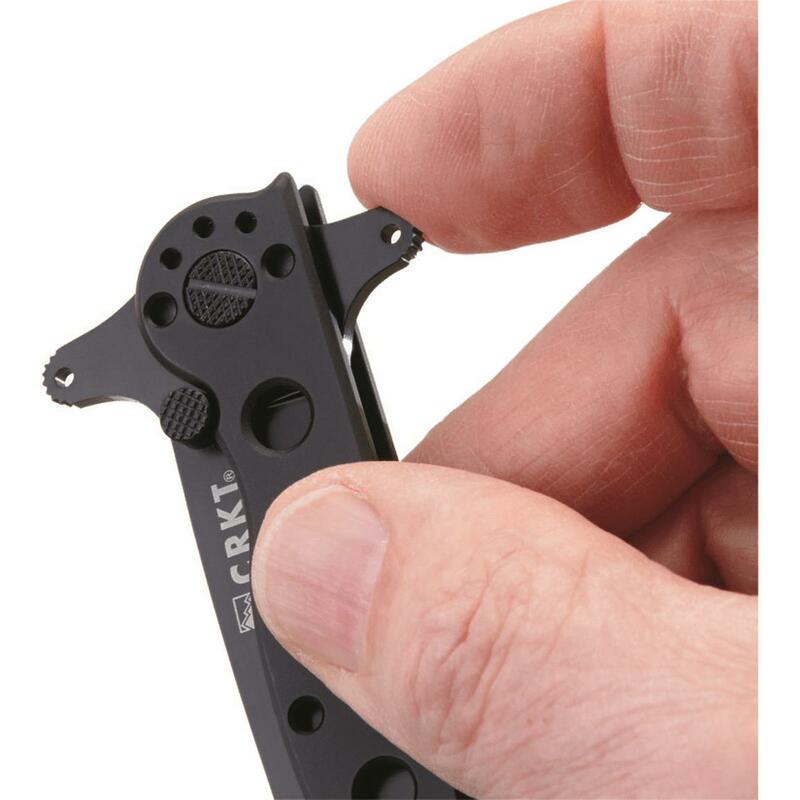 Take a full-size military survival tool and shrink it to fit everyday life around home, shop or the office. 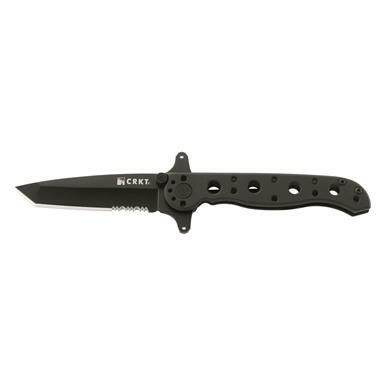 The result: this CRKT® M16® Triple PointTM Tanto Folder. 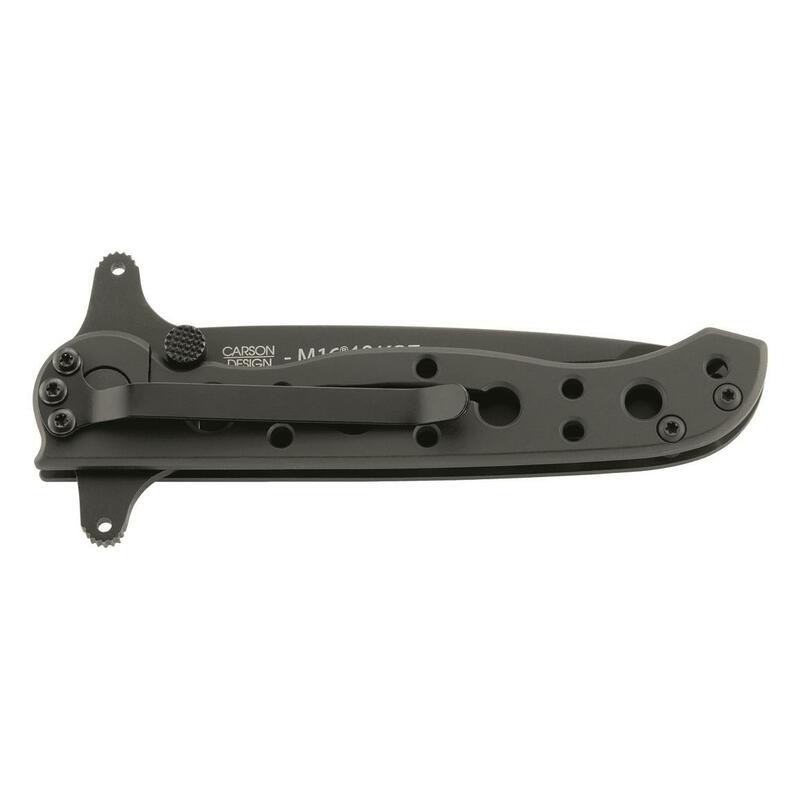 Carson Flipper deployment system lets you engage the blade with just one slide of your thumb. 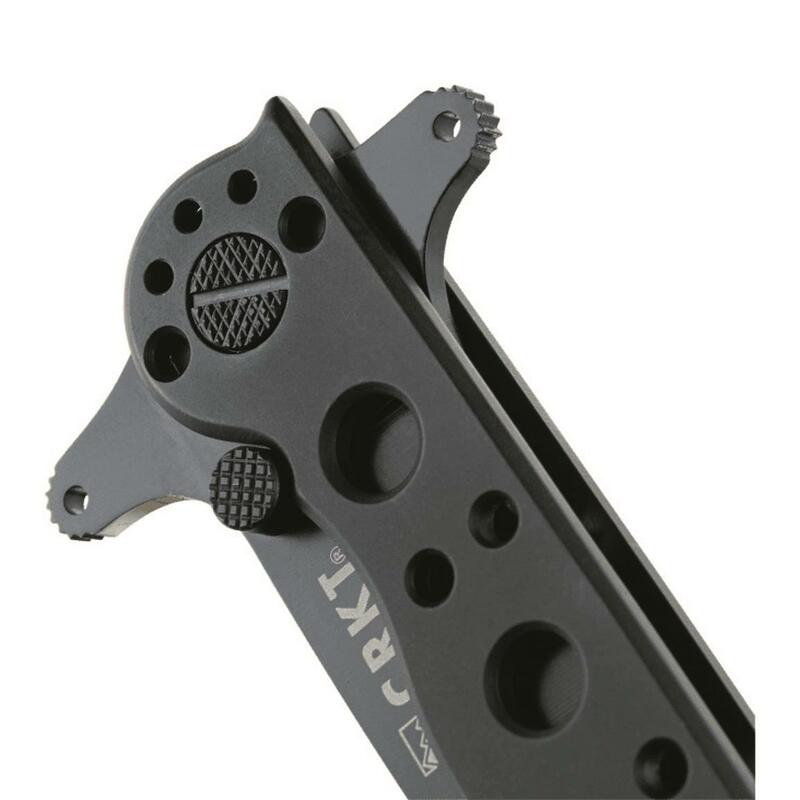 Yet the blade stays locked and secure until you need it. 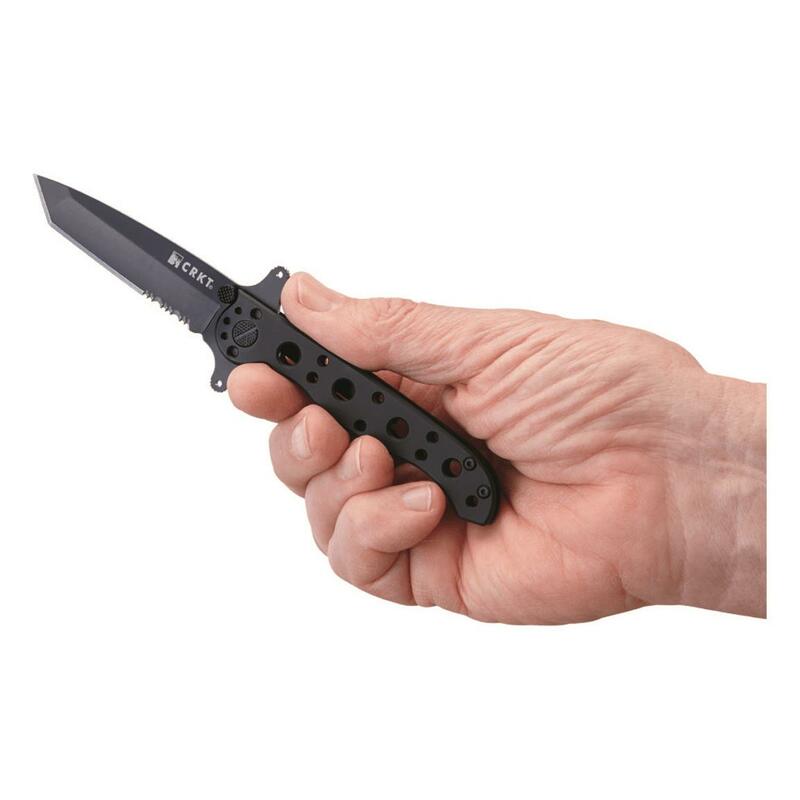 The Tanto blade with vicious Triple PointTM serrations goes through boxes, tape, rope, zip-ties, whatever stubborn job is next on your list. Designed by Kit Carson in Vine Grove, Kentucky. Cut through it and order yours today!